Thursday, Mar. 9, 2017, 6 – 8 p.m.
ALL people identifying across the gender spectrum are welcome at this event. 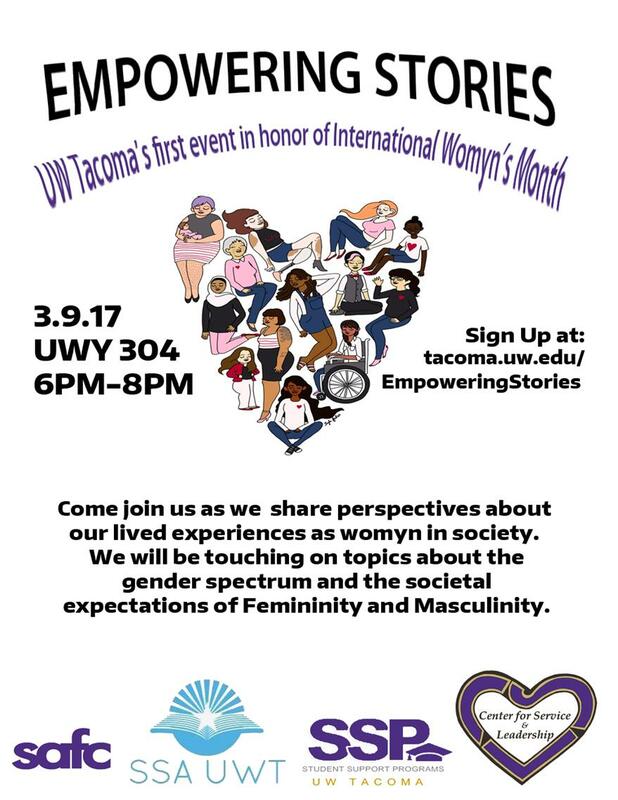 Join students, staff and faculty as we talk about our experiences and what it means to me a womyn.